The Shakers are well known for their traditions in vocal music. Countless personal and printed music books survive, attesting to the wide scope of their unique spirituals. First composed without text and performed with wordless syllables, spirituals began receiving lyrics as the Shaker Movement spread westward, to help the Missionaries better connect with potential converts in the early nineteenth century. The first hymnal was published soon after, entitled Millennial Praises, in 1812. While Millennial Praises was only text, melodies were recorded in personal hymnals, where the pitches were written in letteral notation. In the middle of the nineteenth century, it was suggested within some communities that the brothers and sisters widen the scope of their study of music to aid in the performance of their songs. A more formal study of music resulted in a switch to conventional notation – away from the traditional letteral notation – and therefore standardizing the Shaker spirituals within the discourse of Western music. This finally led to the appearance of conventional staves, and an increased use of the rastrum¬ – a small pen-like tool that draws the staves on paper. Shaker rastrums with provenance to Mount Lebanon still survive to this day and are representative of a critical change in the way the Shaker community interacted with and conformed to the outside world. Ultimately, the Piano-Violin was the downfall of Brother Elisha D. Blakemen, as he left his Church Family home in 1872 because of friction between community members and his growing piano-violin business. 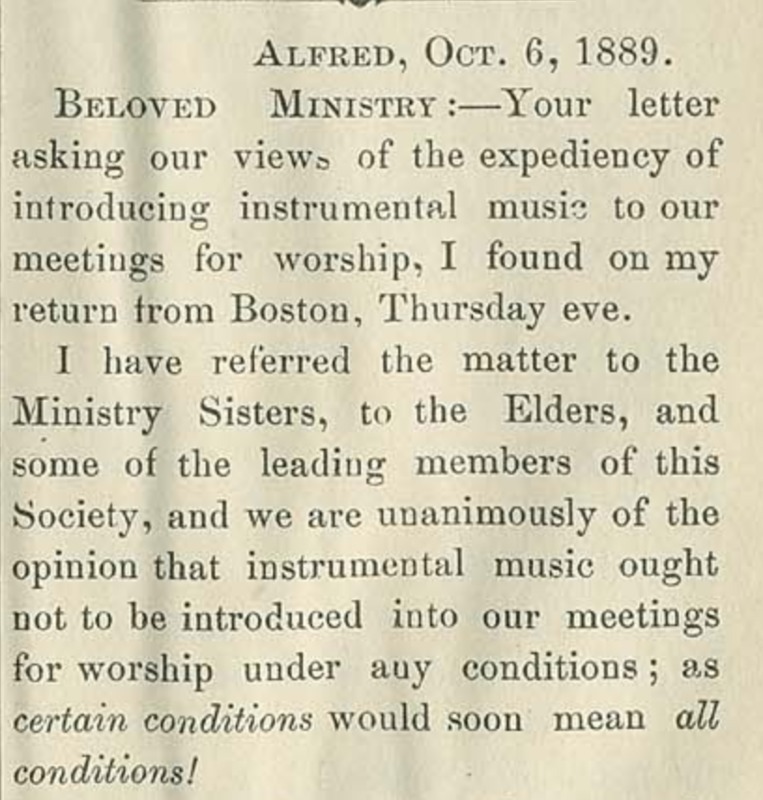 Despite the work of Blakeman, not all Shaker communities were supportive of the inclusion of instrumental music – some saw it as sacrilegious! Church Family dwelling burned in late nineteenth century. 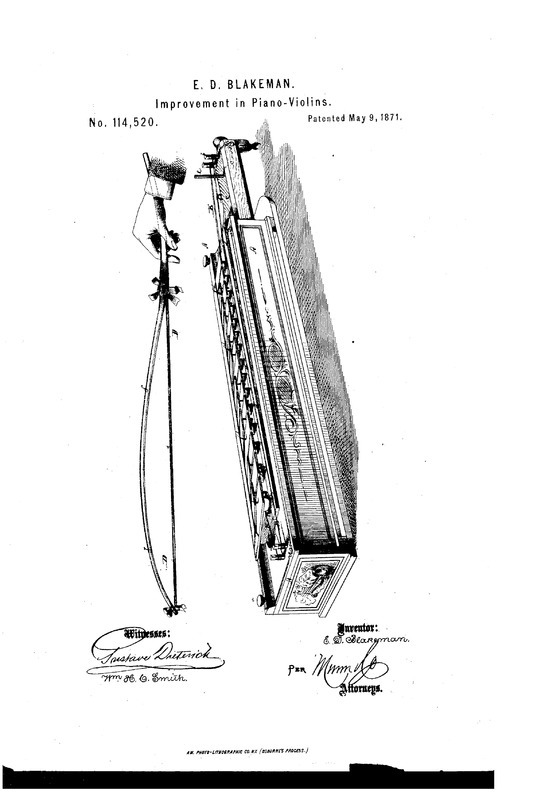 Alexandra Cade, “Musical Objects at Mount Lebanon,” UpstateHistorical, accessed April 18, 2019, http://upstatehistorical.org/items/show/59. 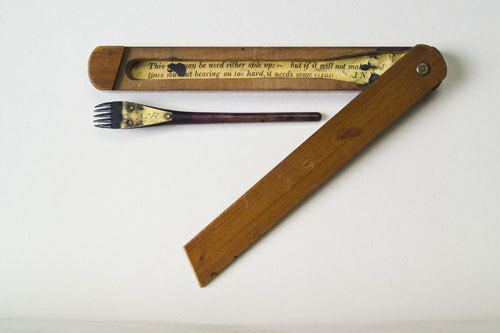 “A Box in Search of its Rastrum.” The Shaker Museum at Mount Lebanon Blog, https://shakerml.wordpress.com/2017/01/04/a-box-in-search-of-its-rastrum/ (Accessed December 14, 2017). “The Music was Very Fine: Brother Elisha’s Piano-Violin.” The Shaker Musuem at Mount Lebanon. https://shakerml.wordpress.com/2017/02/08/the-music-was-very-fine-brother-elishas-piano-violin/ (Accessed December 14, 2017). Goodwillie, Christian. Millienial Praises: A Shaker Hymnal. Amherst, MA: University of Massachusetts Press, 2009.